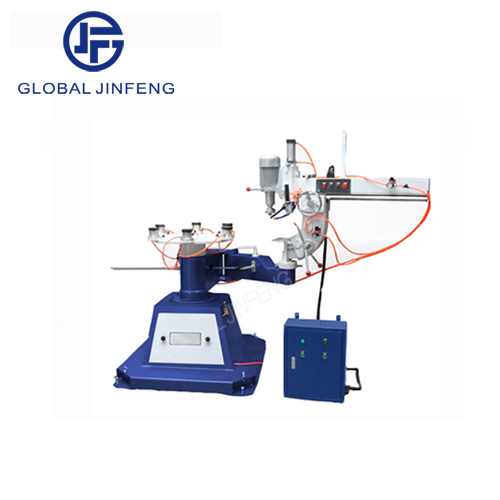 1.This machine is developed on the basis of JFS-161 with extra function of grinding internal round,oval and other shapes. 2.The processed glass is absorbed onto a vacuum sucker,a spinning disc or an independent satellite disc,the speed of the spinning disc is adjustable. 3.when grinding peripheries,coarse grinding,refine grinding and polishing are alternatively done by three grinders.When grinding hypotenuses,the angle of the grinder on the bowel-shape wheel can be obliquely adjusted to fit the ground angle for grinding.